Topics: Aweber, Feeds, and Blogger's Choice Awards. Google Inc. California is the location of the GSE server. 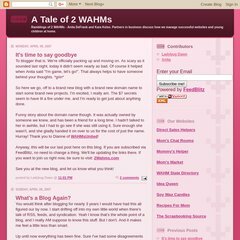 2wahms.blogspot.com's IP address is 72.14.204.132. A time of 22.0 ms is recorded in a ping test, also its average full page load time is 1858 milliseconds. This is slower than 49% of measured websites.